FK chats with Marina from beautiful Sydney based leather accessories label, Marcue. Tell us a bit about Marcue and what we can expect to discover? Marcue is a brand that was born out of a desire for a creative, hands on experience in which I make objects with craftsmanship and aesthetic appeal. By nature I am a practical person with some artistic tendencies thrown into the mix. 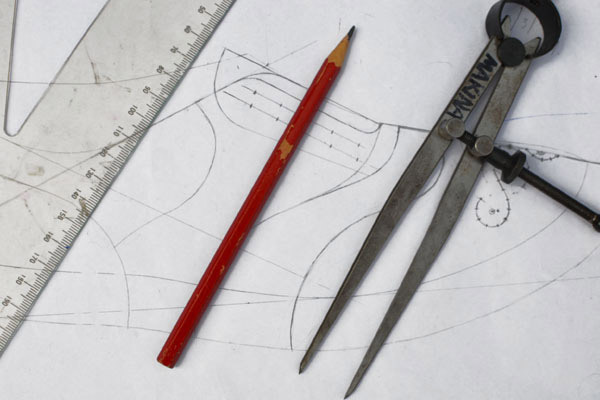 Shoemaking gives me the scope to design and create, I get to sketch and draw my ideas and then bring them to fruition. 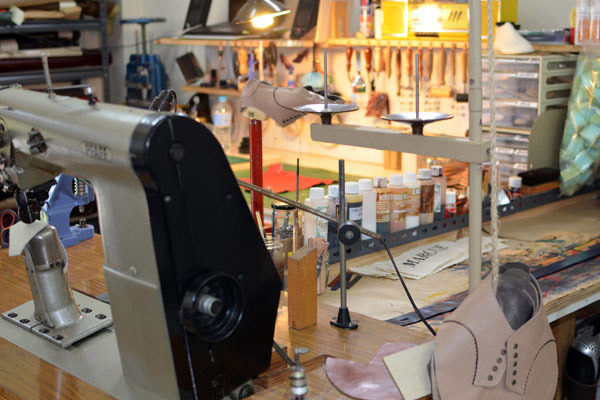 Shoemaking is a very traditional industry, much of what I do is based on centuries old practices and designs that have been refined over time. In comparison, fashion has evolved wildly, swinging from one trend to the next before returning to a previous style. Almost like fashion designers are trying to catch their breath before making the next big leap. 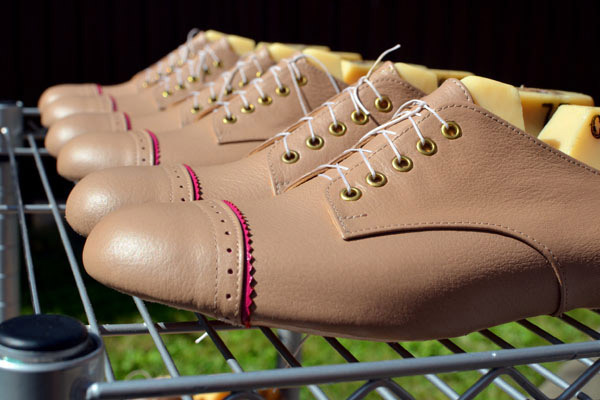 In my work I fuse the slow, steady tradition of shoemaking with some dashes of colour and energy from the world of fashion. My creative background is graphic design and wedding stationery design, before either of those I dabbled in ceramics. Whilst none of those pursuits have directly led me to where I am today, each has given me skills or knowledge that have helped in one way or another. My daily inspiration is a carefully made cocktail, one part bitter sweet industrial decay, one part times gone by and two parts serious style. Mix, swirl and serve chilled. My workshop is tightly packed, organised chaos. Everything has its place but only I know where it goes! In my workshop you will find old shoemakers tools, leathers, lasts, sewing machines, patterns, inks, dyes, skivers as well as a shop cat, he keeps me company! My creative process starts with sketches and some colour swatches, typically I sketch and annotate ideas and thoughts before picking the best of them. Then I will refine them until I am happy with the result, from this I will make some patterns and finally a prototype shoe is born. 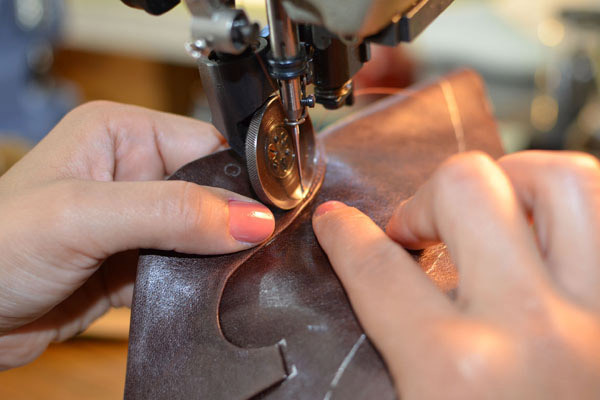 What do you love about working with leather? And what are some of the challenges? There is much to like about working with leather, its versatility, its texture, its smell, the sheer variety of colours and finishes. 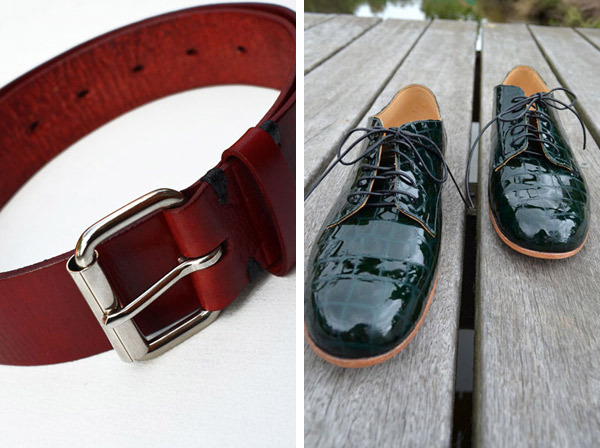 Leather and the things I make with it resemble my personality, practical with a little bit of flair. 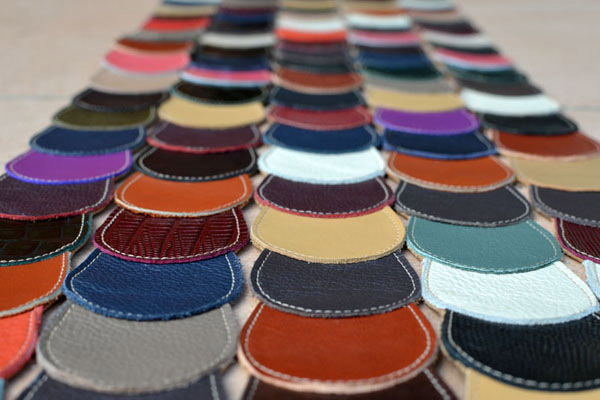 Leather in its raw form is like a canvas, it can be dyed, antiqued, its ready to accept whatever you have envisioned for it. 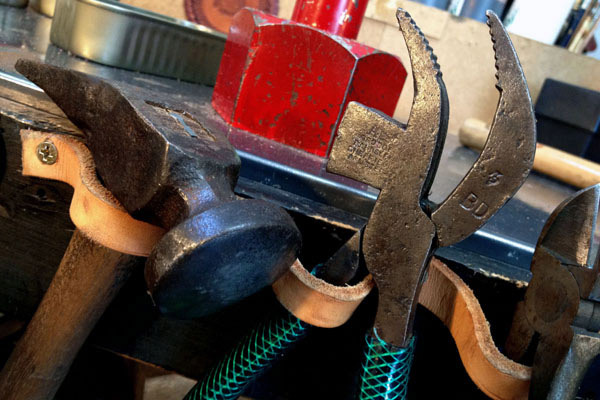 Leather can require finesse or brute strength, knowing when to use either can be tricky. It also requires patience, when forming leather it is best to let it take shape in its own time, otherwise things tend to sag and lose shape. 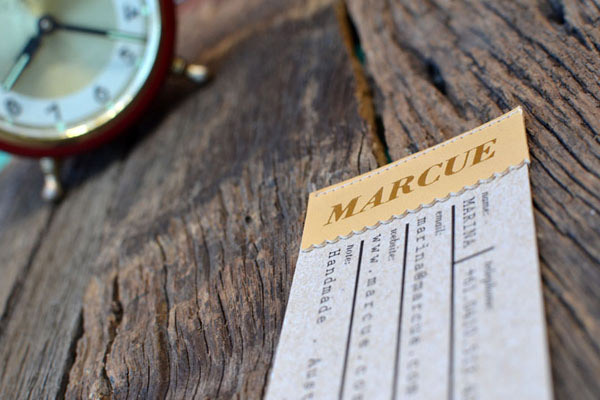 What can we expect to see from Marcue at the upcoming Sydney Markets? 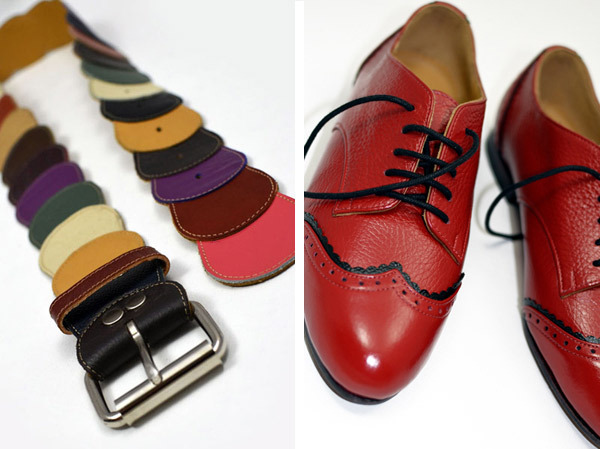 You can expect a range of shoes, belts, boots and bags each bearing my own touch.